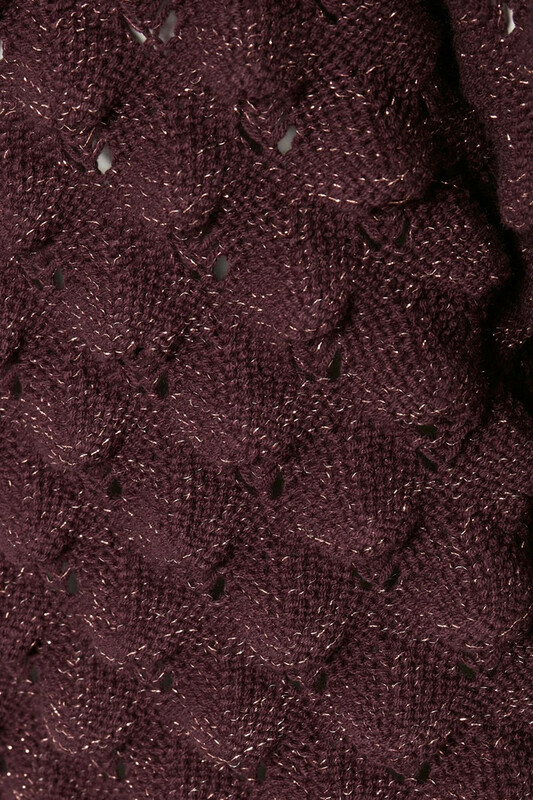 The jumper almost has a 3D function, with its bubble pattern in the fabric. 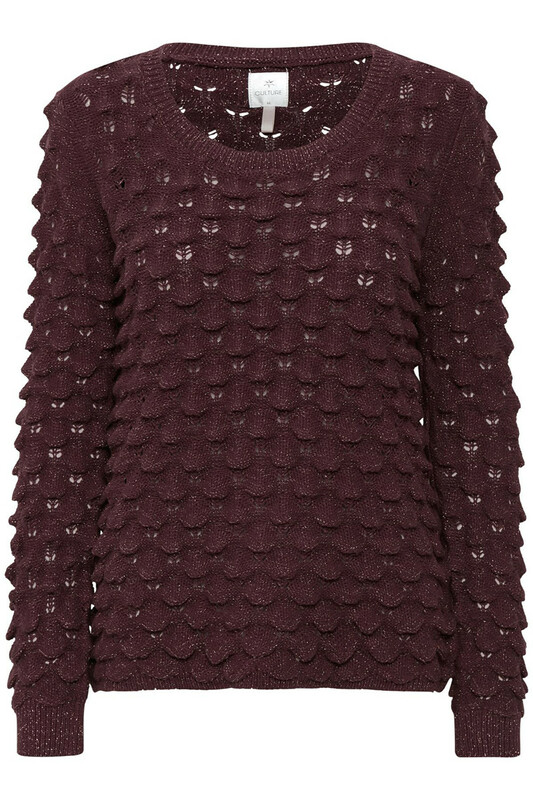 There are fine shades of gold lurex with ribbed edges in the sleeves and bottom of the jumper. The neckline is wide and round. 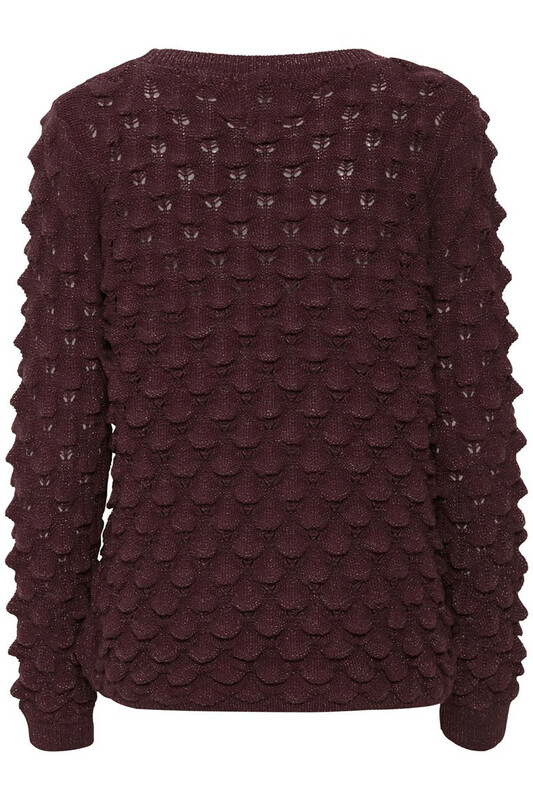 With its great bubble-gold-effect, the jumper is perfect for work and festive occasions. The bubble function is not lost during washing.